Perfect weather. Miles of glistening beaches. Mayan history. Modern luxury. 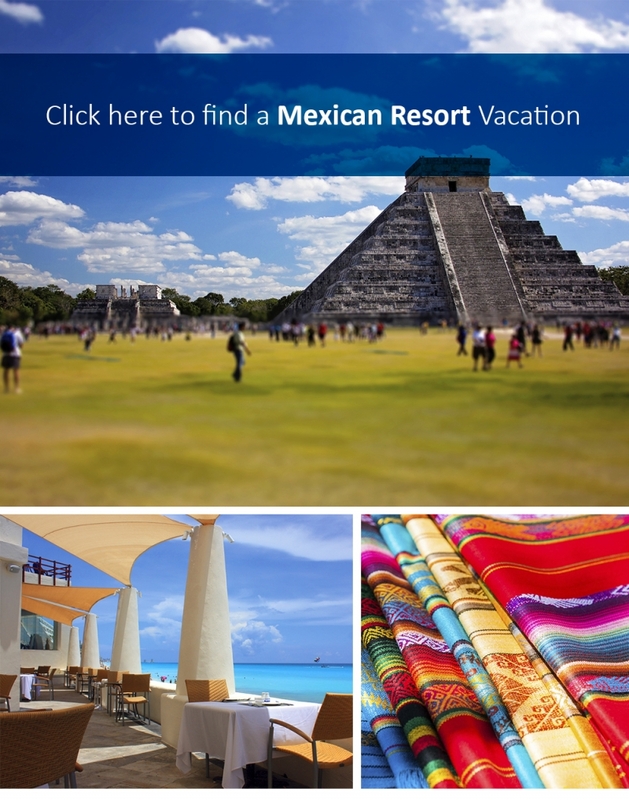 There is so much to experience in Mexico, especially in the Yucatan Peninsula. This area has earned the nickname, The Mayan Riviera, because of its amazing shoreline, energized nightlife and lavish resorts. One of the most sought-after destinations in the region is Cancun. Custom-built for tourism, with impressive natural beauty, this city on the Caribbean Sea is your gateway to the Mayan world. From here, explore Chichen Itza in the northwest, and Chacchoben to the south. The imposing banyans and strangler figs that surround Chacchoben add to its mystique. Not to be missed is the walled, ancient site of Tulum, the only Mayan city ever built along a coast. The seaside views from the top of the Castillo and limestone cliffs are spectacular. For a treat of a different kind, try a "kibi," a mixture of mashed wheat, beef, spearmint, onion and garlic. Locals sell these fried balls of deliciousness beachside.